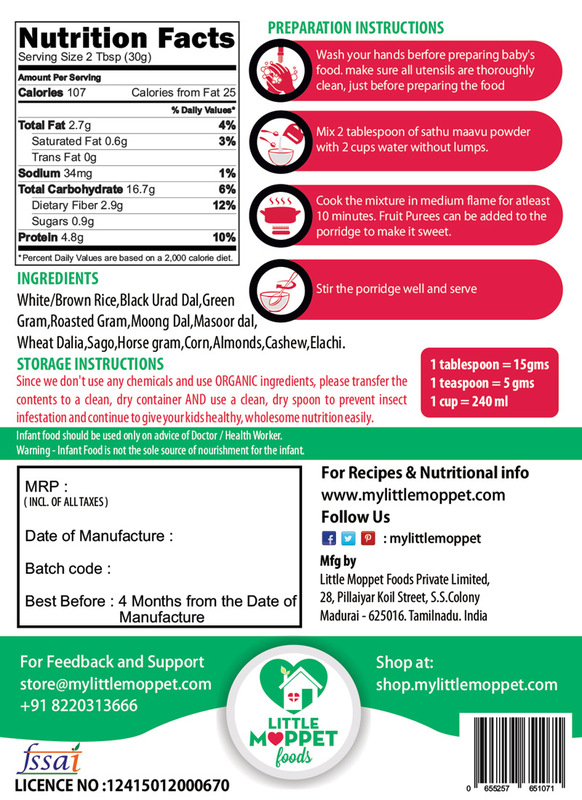 A Wholesome Nutritious Weight Gaining Health Mix. 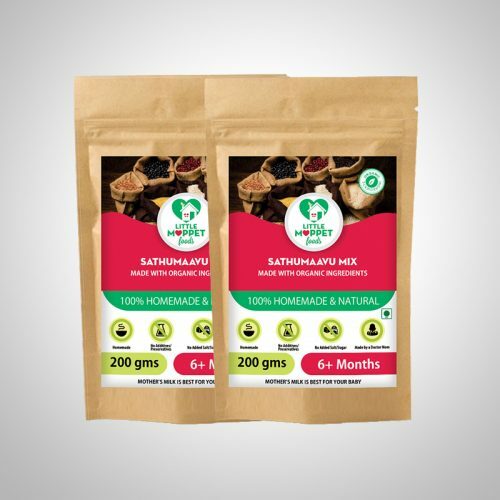 Recommended Age – 6 Months and above. Freshly prepared and packed after your order is placed! A perfect meal, it’s full of carbohydrates, proteins, good fats, vitamins and minerals. 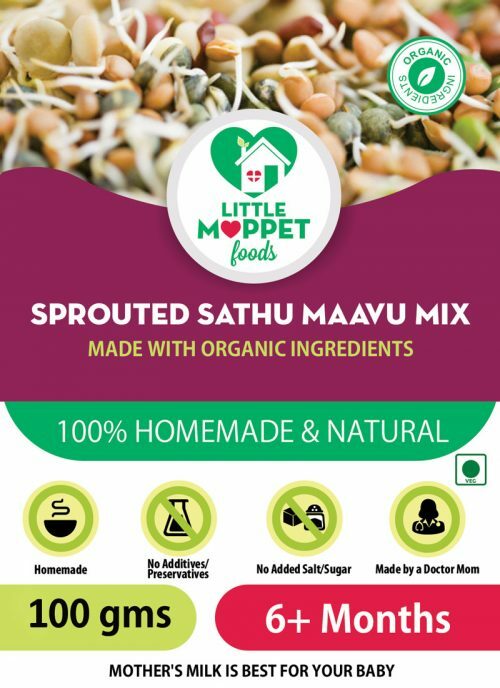 Lovingly made at home in a Doctor Mom’s kitchen, with handpicked organic ingredients of the highest quality. 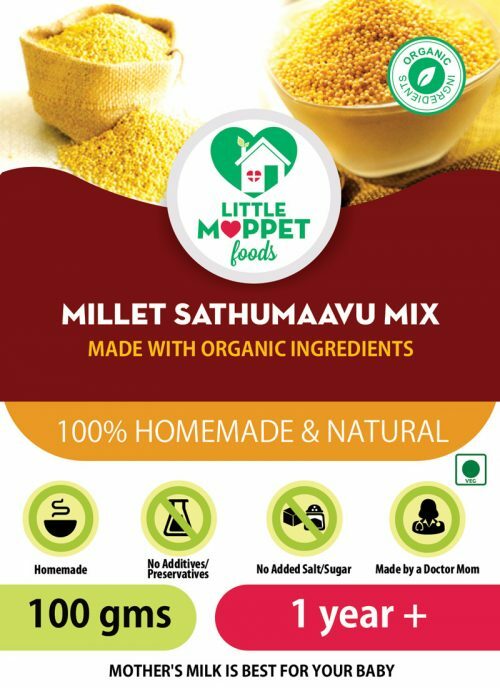 It does NOT contain any preservatives, artificial flavor, sugar or salt. 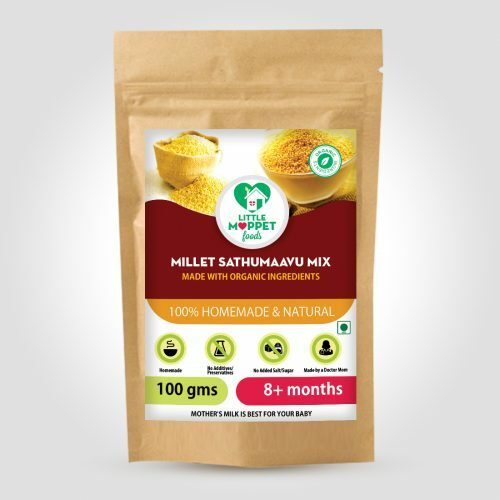 IMPORTANT – A Minimum of 3 products is required from trial pack products before checking out. 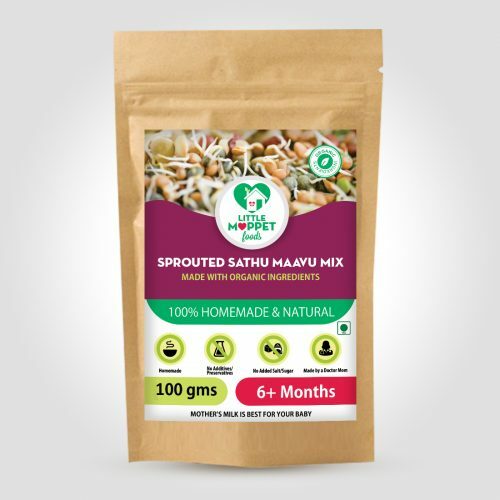 Its unique combination of pulses, cereals and dry fruits ensures that your baby gets the all-round nourishment that is so critical in the early years. And it’s 100% safe! 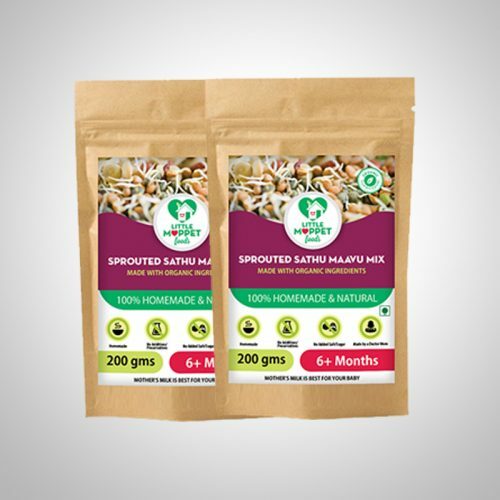 With every mushy spoonful, you can be confident that you are giving your child the best possible solid food for her development. 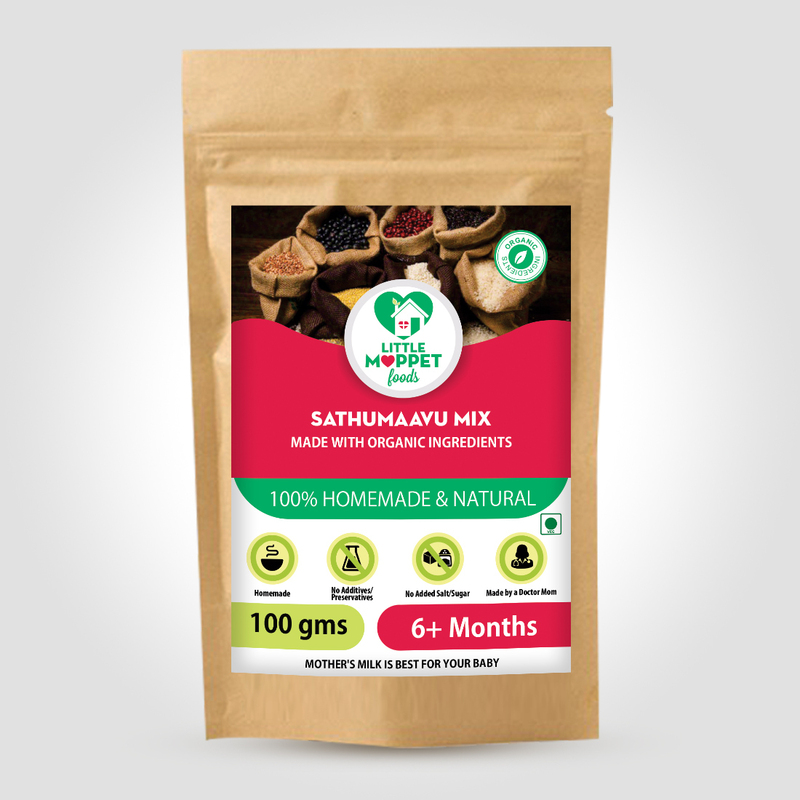 What makes SathuMaavu health mix so special? How to Prepare: Mix 2 tablespoon of SathuMaavu powder with 2 cups water without lumps. Cook the mixture on medium flame for atleast 10 minutes. Fruit Purees can be added to the porridge to make it sweet. 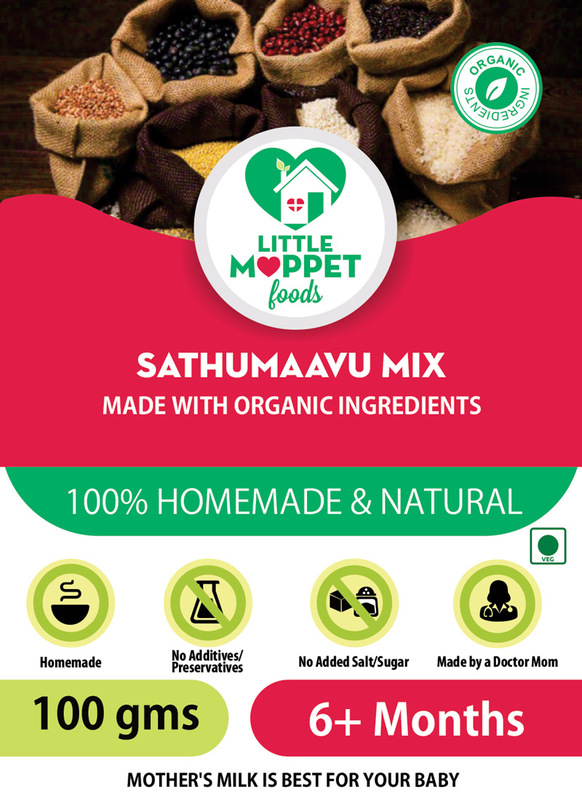 The sathumavu mix a perfect blend of various healthy grains and is fit for babies when starting their solids. My baby is a fussy eater(all babies are), but consumes this porridge more happily compared to other foods given to him. Hi Preet, If baby's who are 1 year and above you can make the porridge with milk.For below 1 year you can mix it with water. My baby liked saathumaavu mix to an extend....she loves the taste if oats mix which I ordered recently...thank you for making such yummy and nutritious products...love to order more products.